Three Dogs BBQ: How do you say Moink in Italian? Monik Balls have been a competition BBQ staple for as long as I can remember. There really is not a right or a wrong way to make them. 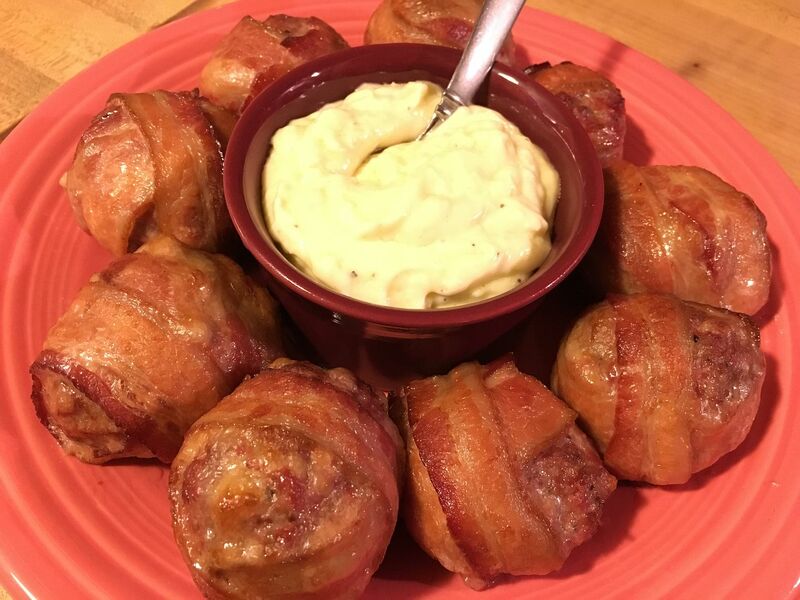 Generally, they are a meatball made with pork and beef (hence the "monk"), seasoned with BBQ rub, then wrapped in bacon and cooked in a smoker until the meatball is cooked and the bacon is cooked. I have seen them served with a BBQ sauce glaze or with dipping sauce on the side. Creativity is encouraged and the sky is the limit. A few weeks ago, I was in the mood for some Moink Balls, but not in the mood for something with a BBQ taste. So, after digging through the ice cave, I found some ground meat and sweet Italian sausage. Italian Moink Balls? Why not. After thawing the ground meat and sausage, I mixed one pound of each in a bowl with two cloves of minced garlic and salt and pepper to taste. If your Italian sausage lacks pizzaz, you could also add oregano, thyme, and basil to your liking. But, the Italian sausage we have is made by authentic Italian Grandfathers from an Italian Club around Windber, PA. No added seasoning needed. Once the meat was mixed thoroughly, I pulled out about 1/4 cup pieces and rolled into flat rounds. 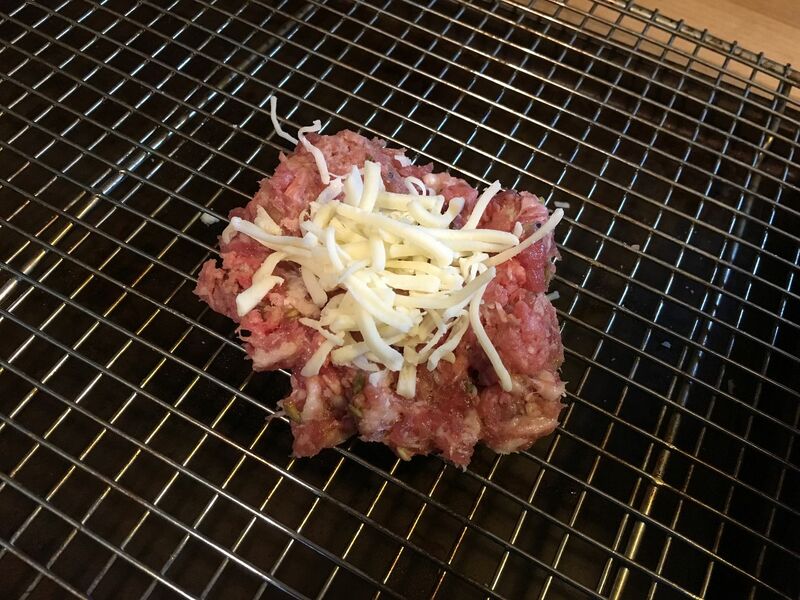 Then, I added some shredded mozzarella cheese, closed the ball, and rolled until sealed to keep the cheese from oozing during cooking. 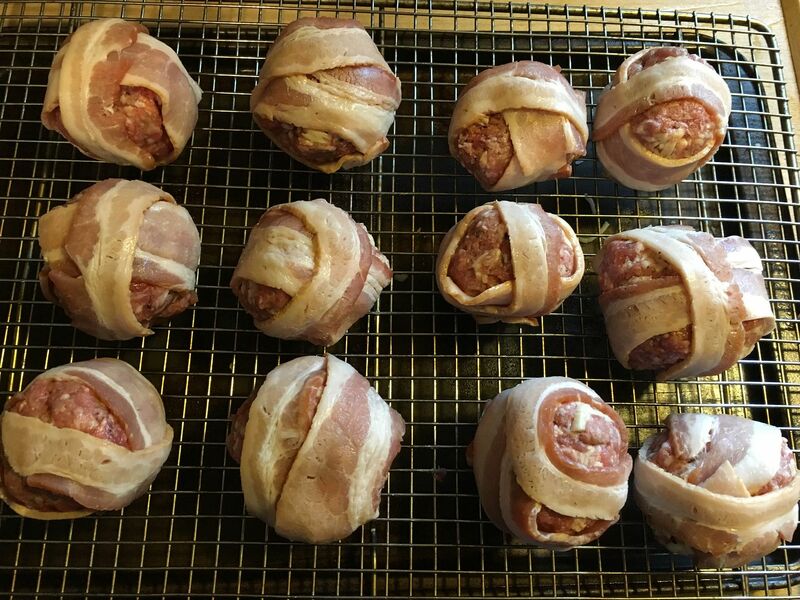 Next, I wrapped each meatball in one slice of thin sliced bacon. 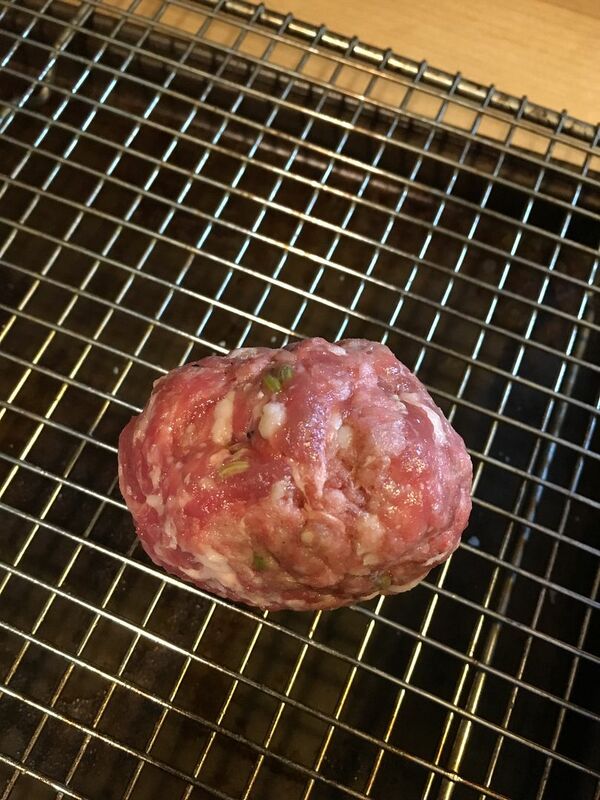 Then, I let the bacon wrapped meatballs sit on the counter to come to room temperature while I brought my smoker up to 350 F. Once the smoker reached temperature, I placed one piece of hickory in the ash pan for flavor and placed the Moink Balls with the rack onto the top shelf of the smoker. After 30 minutes of cook time I rotated the rack 180 degrees to promote even cooking. I was thinking of painting the meatballs with a spicy tomato sauce to form a glaze. But, I remembered this great sauce is inspired by a friend of ours from the BBQ competition world. I whipped up a Garlic Parmesan Aioli for dipping. I took one cup of mayonnaise, 2 minced garlic cloves, the juice from one lemon, 1/4 cup of grated Parmesan cheese, salt and pepper to taste, and enough olive oil to get the mixture somewhat mobile. This sauce was good, but wasn't anywhere near what she makes. But, this was good for a first pass. I will have to experiment with this sauce further. After one hour of cook time in the smoker, the meatballs were cooked and the bacon was crispy. Ready to serve. Not bad for an Italian style Moink Ball. I was thinking of wrapping in prosciutto instead of bacon. Next time I will. I just didn't have any in the refrigerator. Maybe that is something you can try.